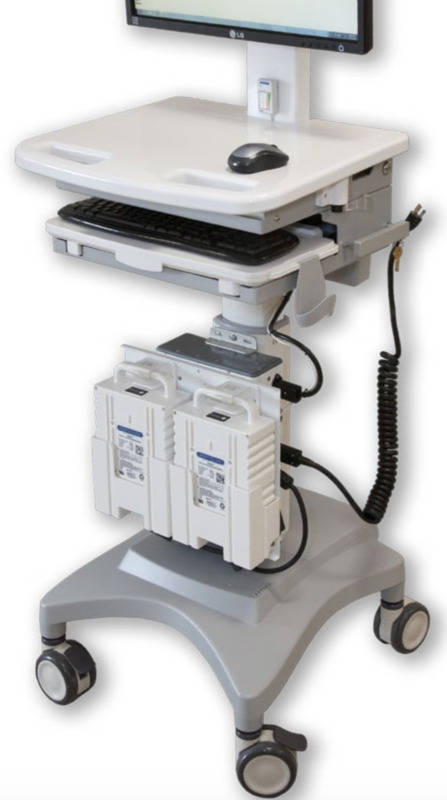 ﻿ Hospital Medical Carts Medical Grade UPS Systems | Medical Grade Power | Medical Uninterruptible Power Supplies. 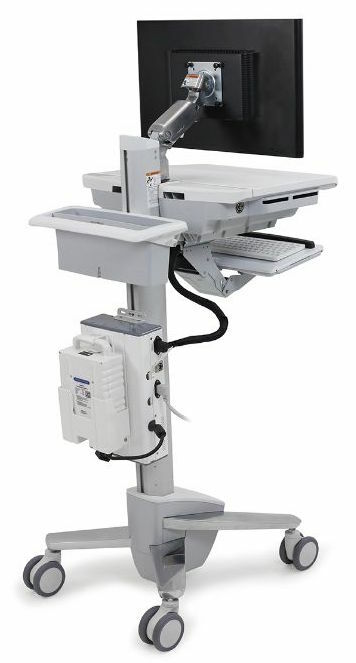 Medical Carts, Medical Carts Power System AC/DC External Power Adapters, Mobile Cart, Medical Cart, Medication Cart, Computer on Wheels, Workstation on Wheels, RX Cart, Infection Control. 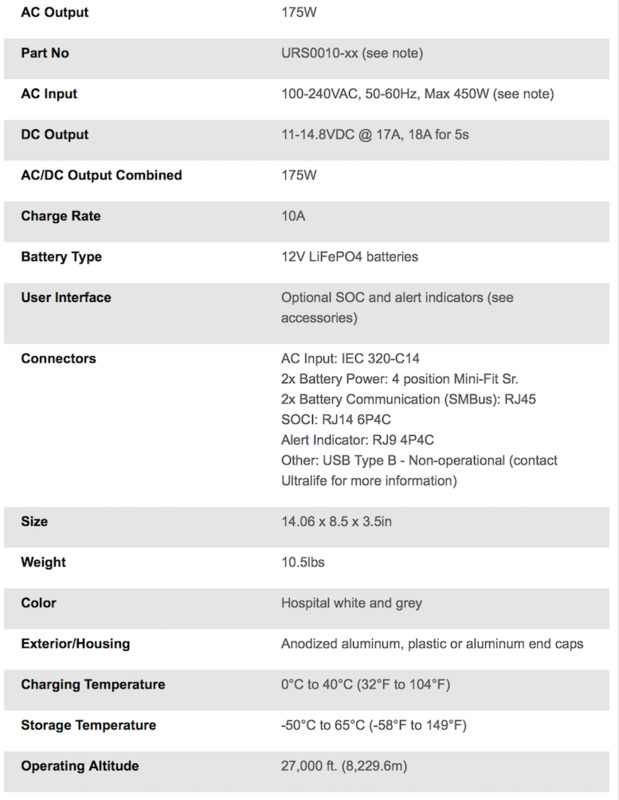 Priority charging and discharging based on SOC, cycle count, etc. 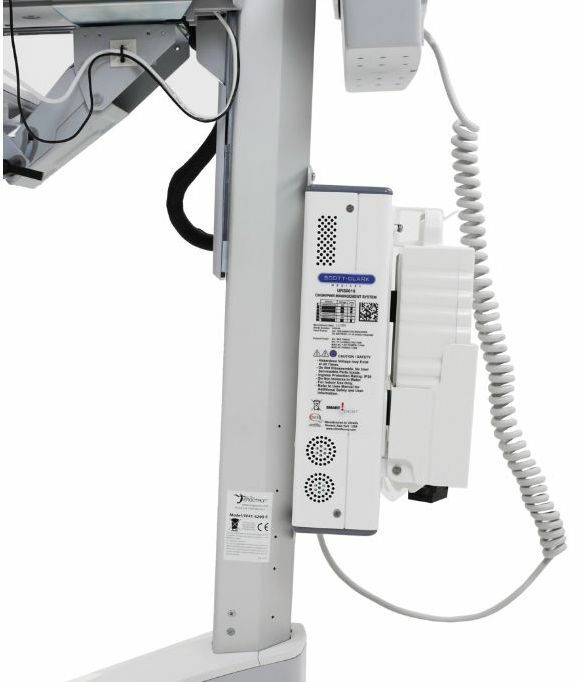 Easily upgrade a non-powered StyleView Cart with the SV LiFe Power Upgrade System. 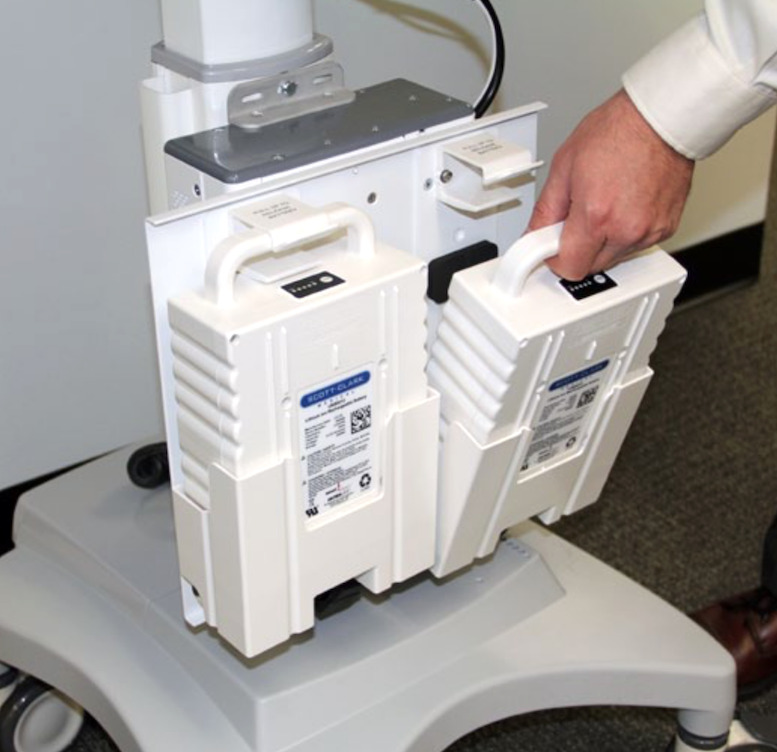 This on-board charging system provides plenty of energy for all the computer hardware on the cart. 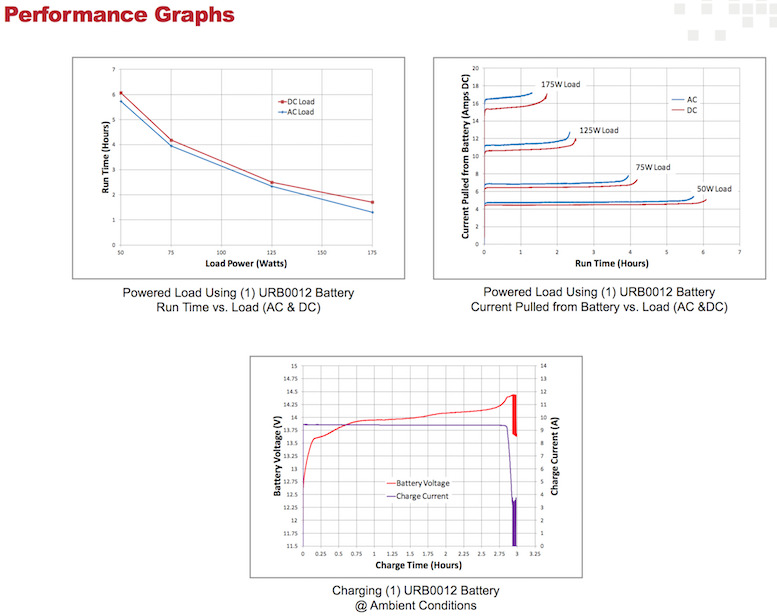 Powerful, yet lightweight Lithium Iron Phosphate (LiFe) batteries are certified safe and provide long life with ultrafast recharge times. 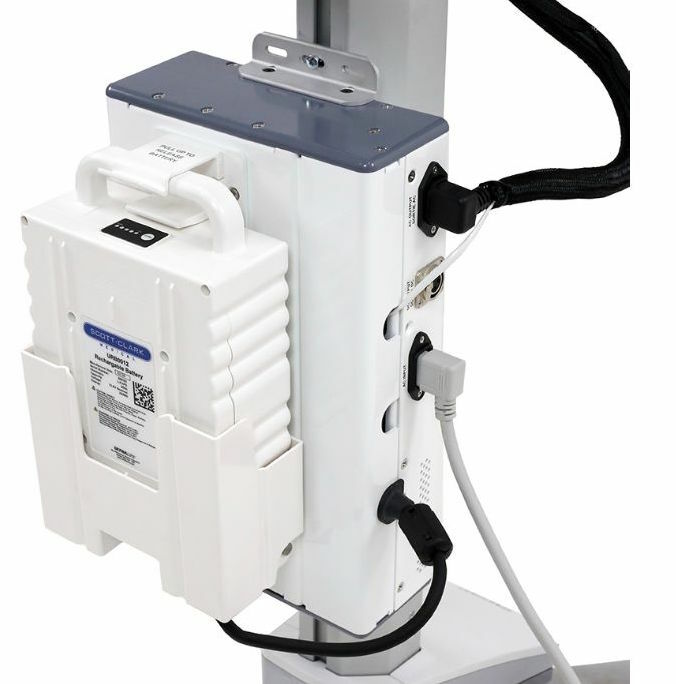 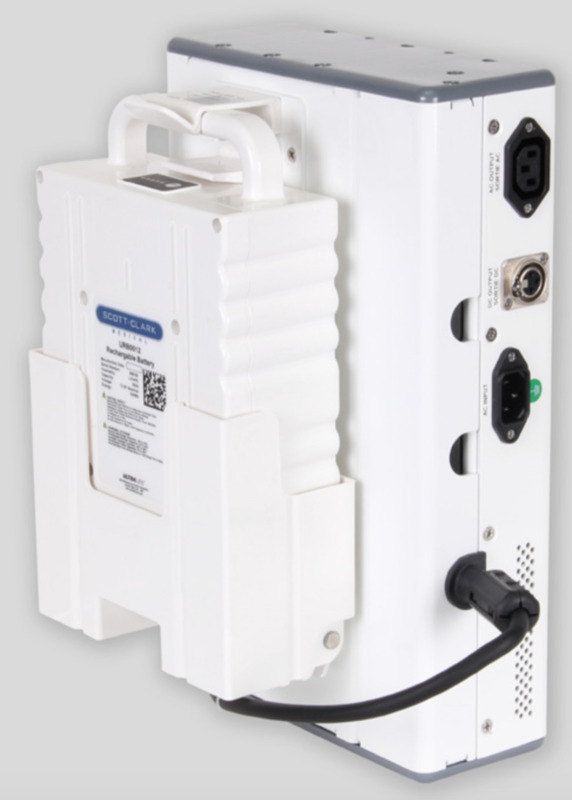 The system includes power system module with user interface, 12V 330Wh LiFe battery, state-of-charge indicator (SOCI), AC coiled power cord, 3-outlet power strip and attachment hardware.